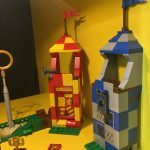 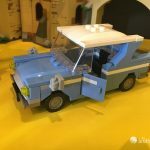 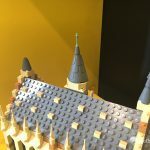 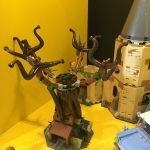 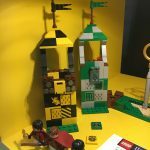 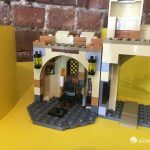 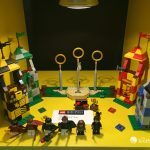 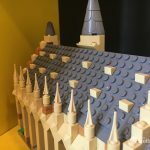 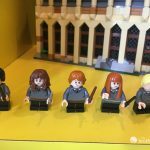 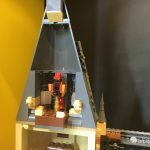 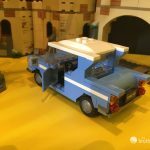 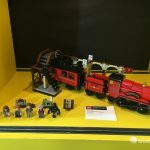 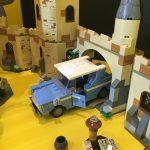 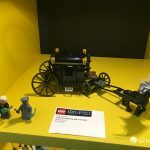 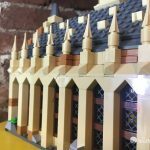 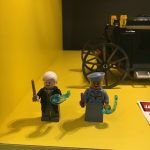 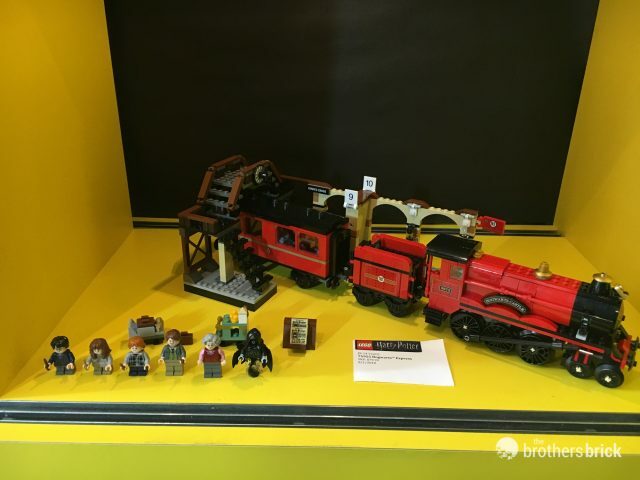 Live from the LEGO Fall Preview 2018 event, we’re bringing you our hands on experience with the newly revealed Harry Potter line, scheduled for release on August 1st. 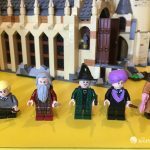 From first glance, it looks like the Wizarding World is being given the star treatment, so let’s dive in. 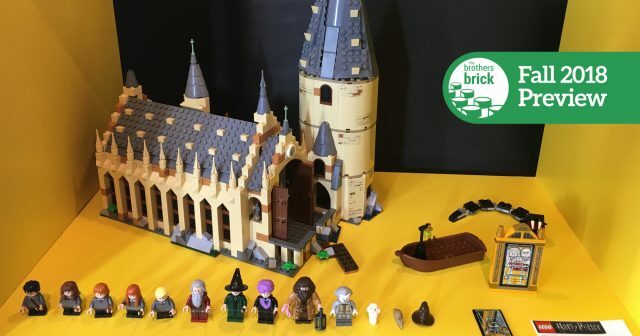 The flagship set of Hogwarts, the Great Hall comes with ten minifigures including Harry Potter, Ron Weasley, Hermione Granger, Draco Malfoy, Susan Bones, Albus Dumbledore, Professor McGonagall, Professor Quirrell (with reversible Lord Voldemort face), Hagrid, and Nearly Headless Nick, along with Hedwig, Scabbers and the Sorting Hat. 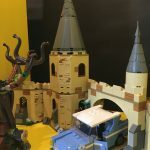 For the first time we are seeing the entire brick-built Basilisk snake and Mirror of Erised, and it looks like the model has been simplified slightly from the prototype we saw at the New York Toy Fair, resting on a flat base rather than raised, several small towers removed, and without the prototype arch elements near the docks. 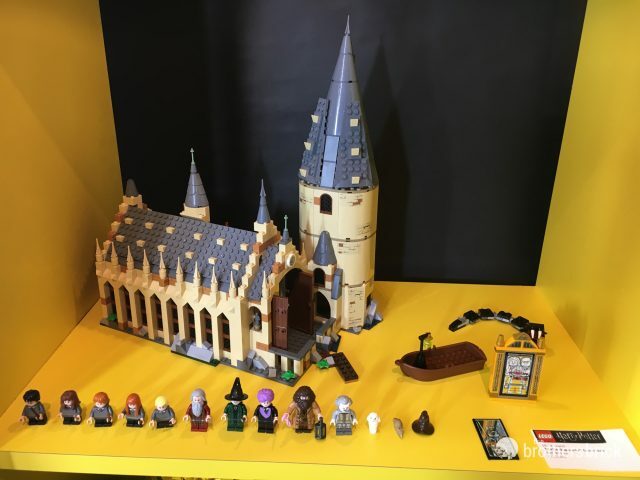 The set does match the artwork exactly of what was officially announced in February. 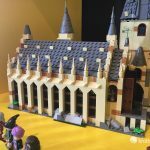 Hogwarts can also be combined with the Whomping Willow set to create a bigger section of the school grounds. 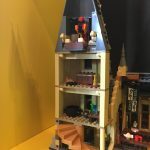 All aboard the Hogwarts Express, complete with King’s Cross Station and Platform 9 and 3/4. 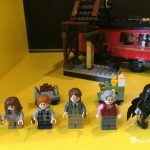 The set includes five minifigures: Harry Potter, Ron Weasley, Hermione Granger, Remus Lupin and the Trolley Witch, plus a Dementor and Scabbers. 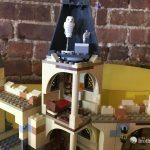 The Dementor is a considerable upgrade from earlier versions, utilizing the ghostly legs element that has been used from Collectible Minifigures to Ghostbusters. 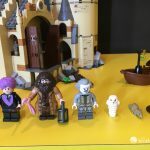 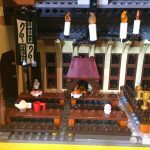 The plain-clothed minifigures look particularly well suited for a journey, and the printing is incredibly high quality. 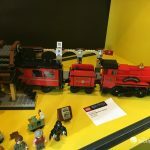 The train itself looks stunning, using curved tiles for signage on the sides of the engine. 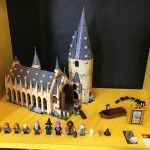 Straight out of the second book, this set is a natural extewnsion of the Great Hall, and comes with a moving tree, Ford Anglia and six minifigures including Harry Potter, Ron Weasley, Hermione Granger, Seamus Finnigan, Argus Filch and Severus Snape, plus Hedwig. 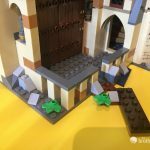 In the video below you can see how the tree’s movement works. 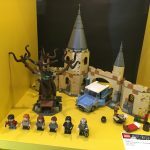 The dark brown elephant tail elements work really well to approximate the look of the Whomping Willow in the Harry Potter movie series. 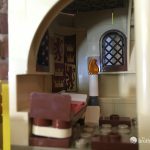 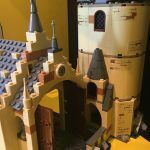 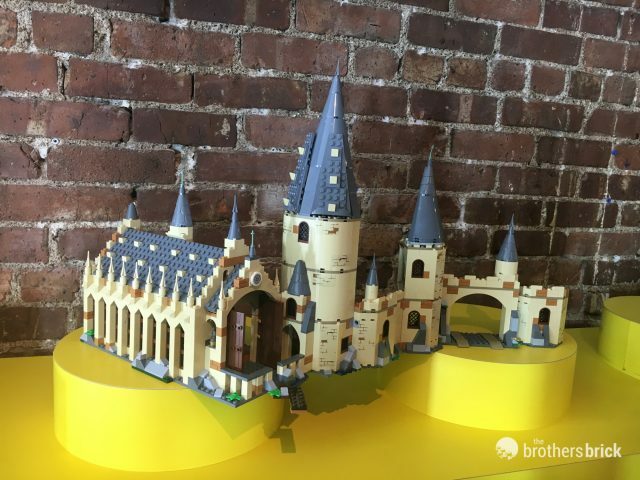 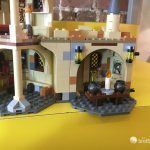 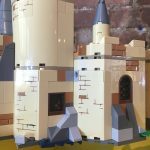 The castle extension is simple, but effective, and we are looking forward to seeing how all the various parts of the castle eventually connect (something not possible with LEGO’s first Harry Potter wave a decade ago). 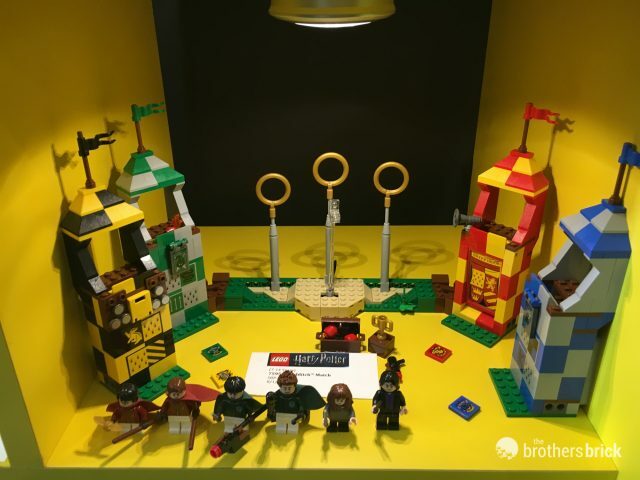 Play the high stakes game of Quidditch with a new Golden Snitch piece, and stud shooters attached to broomsticks! 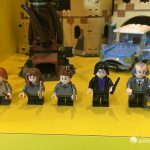 Minifigures include Harry Potter, Hermione Granger, Severus Snape, Oliver Wood, Lucian Bole and Marcus Flint. 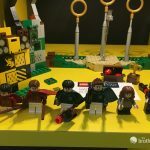 For the first time we are getting a close up look at several play features, one of which lights Snape’s robes on fire and the other moves the Keeper in front of the three rings to try and block any shots. 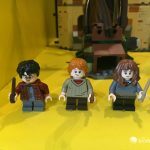 The three rings in gold look great, and are a considerable improvement from the last Quiditch set–the rings tended to be an oblong oval rather than perfect circle in that one. 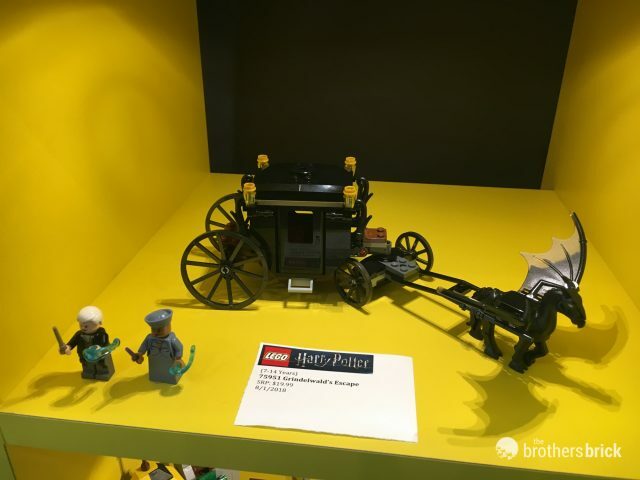 Featuring a fantastic new Thestral, this fancy black carriage ferries Grindelwald across the skies. 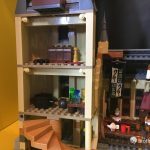 The set includes Gellert Grindelwald and Seraphina Picquery. 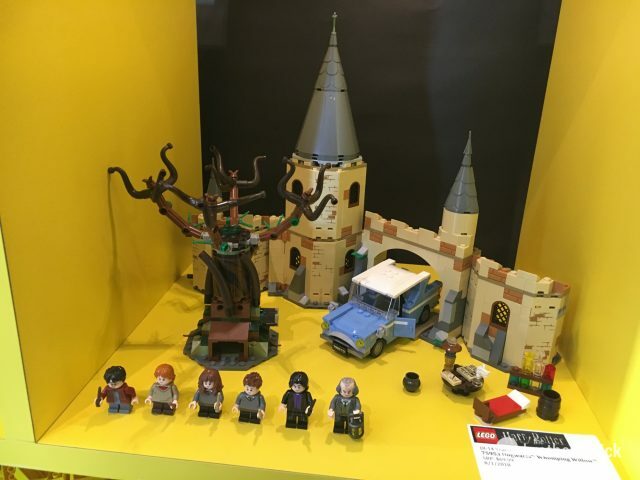 Besides the Thestral, the set includes several parts in new colors, such as the fern piece in black. 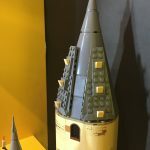 It also features one of the Wizarding World’s few wands in a shade that’s not earth toned, as Sephernia wields a purple wand.